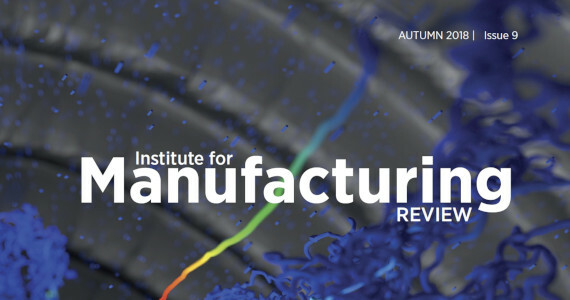 In Issue 9 of IfM Review we share insights into exciting examples of recent collaborative projects across the IfM. Articles include a feature with Dr Ronan Daly about the recent acquisition of Orion NanoFab, an exceptionally sophisticated microscope which will provide researchers across Cambridge and beyond with a capability to achieve strides forward in their work. We also feature a major 4-year collaborative project, ReMediES, led by Dr Jag Srai with 22 industrial partners in the UK pharmaceutical sector. You’ll find further articles on ecosystem mapping, IP strategy, describing skills, open innovation, and more. We hope you enjoy this issue. As always, we welcome your thoughts and comments, and we look forward to hearing from you to help us build future collaborations. You can read the IfM Review by clicking on the individual articles listed below, downloading the pdf [2MB] of the magazine or viewing on ISSUU via the link at the bottom of this page. Dr Ronan Daly explains why the Orion NanoFab, an exceptionally powerful microscope newly acquired by Cambridge, offers the potential to enable important advances in research across a range of disciplines. As manufacturers transition into digitally driven business models, there are significant implications for intellectual property. Dr Frank Tietze considers five challenges and strategies to address them.